A farmer woman is in a rice field at Longji in south China. 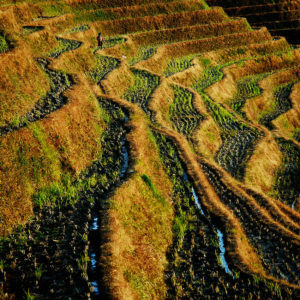 The rice terraces of Longji are famous in China especially when they are covered with snow but also when they are filled with water. 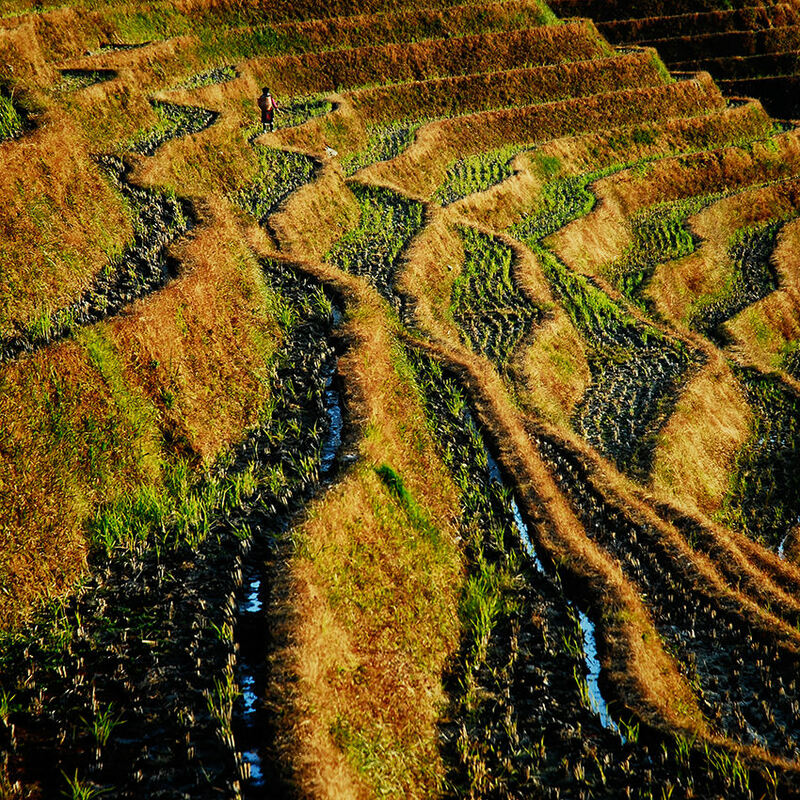 These paddy fields compose the local landscape and are home of the Zhuang and Yao two ethnic minorities mostly working in agriculture and local crafts. Les rizières en terrasses de Longji sont célèbres en Chine notamment lorsqu’il neige mais aussi lorsqu’elles sont en eau. Ces rizières composent le paysage local et abritent les minorités éthniques Zhuang et Yao travaillant pour la plupart dans l’agriculture et l’artisanat locale.